CTCA provides this incredible environment where the patient is taken care of as a whole, and can be nurtured in their journey and fight against cancer. 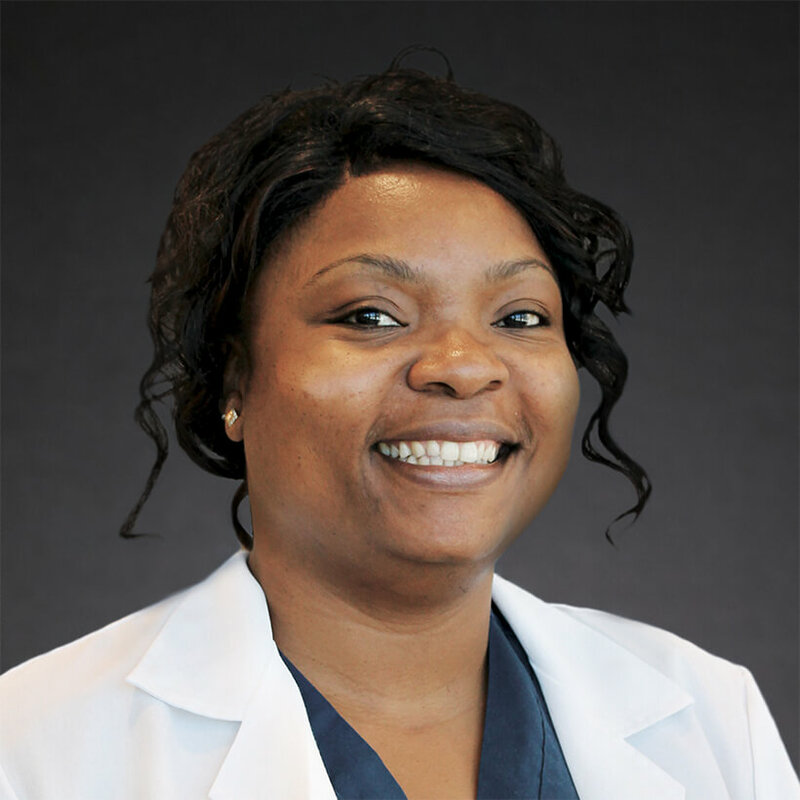 Dr. Pierrette Dsamou joined Cancer Treatment Centers of America® (CTCA), Phoenix in 2013 as a night shift hospitalist. She enjoys the people with whom she works, and their dedication to helping patients. “You can tell that everyone at CTCA® is invested not only intellectually, but also emotionally in bringing healing and soothing to the patients, no matter what capacity they are in,” says Dr. Dsamou. For Dr. Dsamou, the passion to help patients fighting cancer is a personal one. “I was too young to be there for my loved one fighting cancer so now I believe it’s time for me to be there for others’ loved ones going through this journey,” says Dr. Dsamou. Dr. Dsamou earned a medical degree from the University of Yaounde I in Cameroon, Africa. While in Africa, Dr. Dsamou worked as a general practitioner in charge of preventative medicine in an outpatient clinic, and also worked at an obstetrics –gynecology and pediatrics hospital in Cameroon. After coming to the U.S., Dr. Dsamou completed an internship at University Specialty Hospital in Baltimore. She then went on to complete an internal medicine residency at Maricopa Integrated Health System in Phoenix. She is also a member of many societies and committees, including: Maricopa County Medical Society, America College of Physicians, American Medical Association and Cameroon Medical Doctors Association. Dr. Dsamou believes in CTCA’s philosophy that every patient should be treated as a loved one. “CTCA provides this incredible environment where the patient is taken care of as a whole, and can be nurtured in their journey and fight against cancer,” says Dr. Dsamou. In her free time, Dr. Dsamou enjoys spending time with her husband and three daughters. She enjoys cooking, playing tennis, and working on writing a short romance novel.